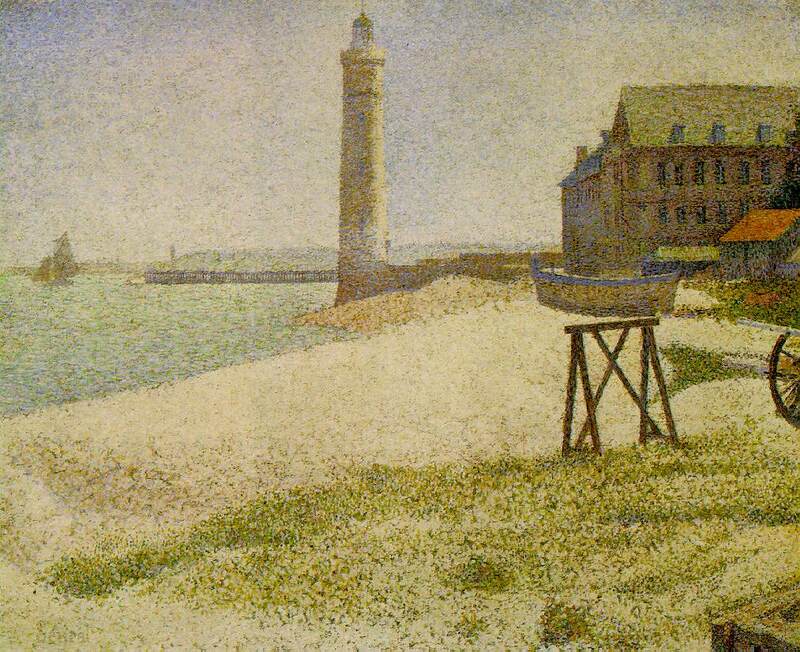 Painter, founder of the 19th-century French school of Neo-Impressionism whose technique for portraying the play of light using tiny brushstrokes of contrasting colours became known as Pointillism. Using this techique, he created huge compositions with tiny, detached strokes of pure colour too small to be distinguished when looking at the entire work but making his paintings shimmer with brilliance. Works in this style include Une Baignade (1883-84) and Un dimanche après-midi à l'Ile de la Grande Jatte (1884-86). A French painter who was a leader in the neo-impressionist movement of the late 19th century, Georges Seurat is the ultimate example of the artist as scientist. He spent his life studying color theories and the effects of different linear structures. His 500 drawings alone establish Seurat as a great master, but he will be remembered for his technique called pointillism, or divisionism, which uses small dots or strokes of contrasting color to create subtle changes in form. 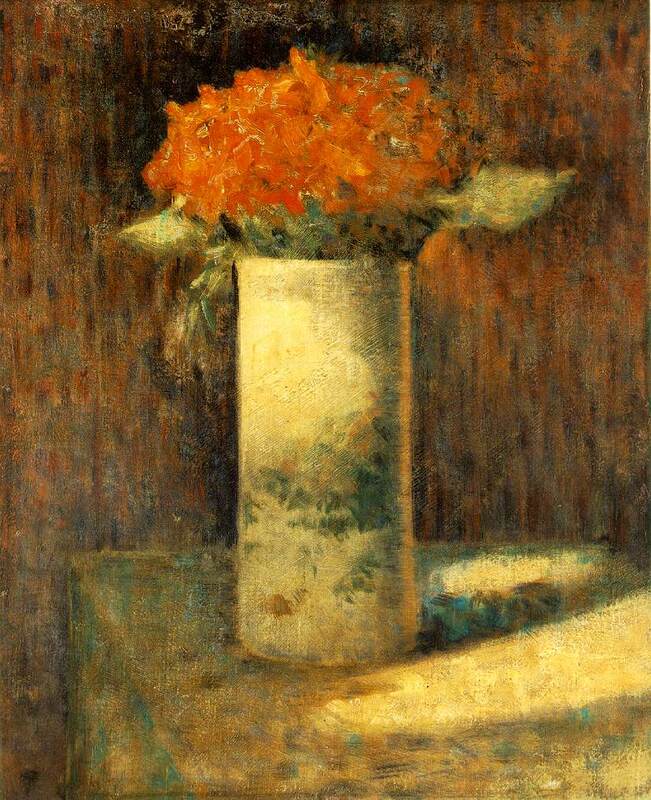 After a year of military service at Brest, Seurat exhibited his drawing Aman-Jean at the official Salon in 1883. Panels from his painting Bathing at Asnieres were refused by the Salon the next year, so Seurat and several other artists founded the Societe des Artistes Independants. His famous canvas Sunday Afternoon on the Island of the Grande Jatte was the centerpiece of an exhibition in 1886. 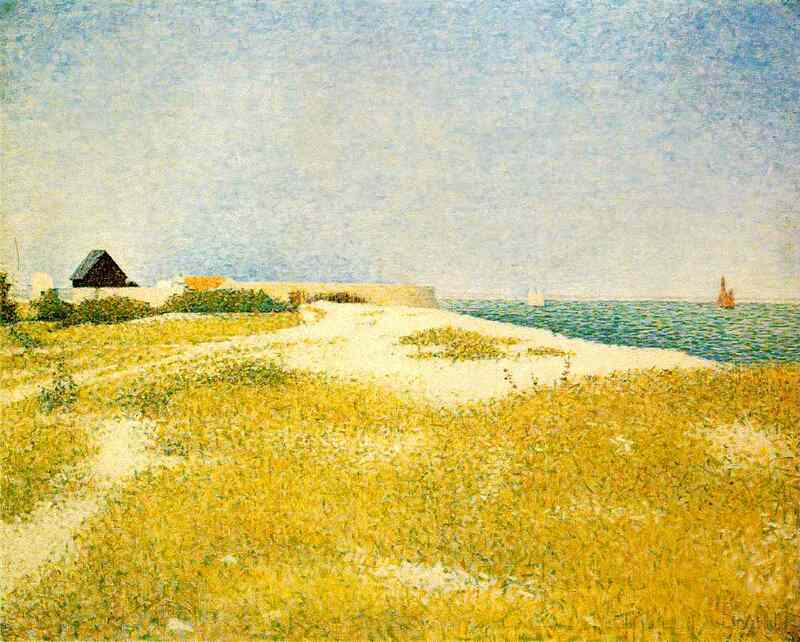 By then Seurat was spending his winters in Paris, drawing and producing one large painting each year, and his summers on France's northern coast. In his short life Seurat produced seven monumental paintings, 60 smaller ones, drawings, and sketchbooks. He kept his private life very secret, and not until his sudden death in Paris on March 29, 1891, did his friends learn of his mistress, who was the model for his painting Young Woman Holding a Powder Puff . 1886 (210 Kb); Oil on canvas, 66.7 x 81.9 cm (26 1/4 x 32 1/4 in); The National Gallery of Art, Washington, D.C.